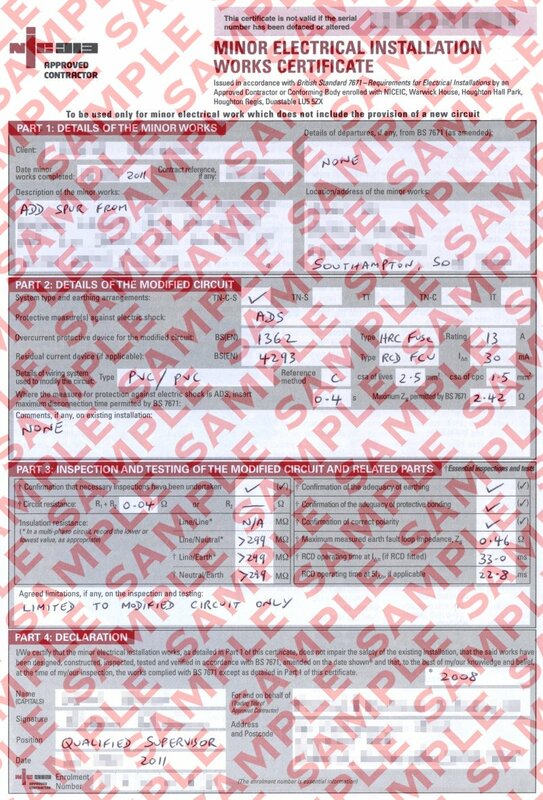 This (one page) certificate is mandatory for minor electrical work, where a new circuit (i.e. a separate feed from the consumer unit) is not needed. Where the work is in a kitchen, bathroom or other special location, a Part-P Certificate is also be required.